What are like terms ? Definition and examples. 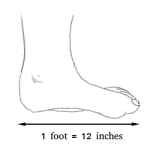 Like terms are terms that have the same variable or terms that can be combined or added together. 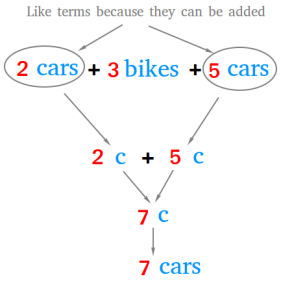 2 cars and 3 bikes are not like terms because you cannot combine or add them to get a sum. You could also say that like terms have exactly the same variable factors or simply the same variables. For example, 2c and 5c have the same variable factor that is c.